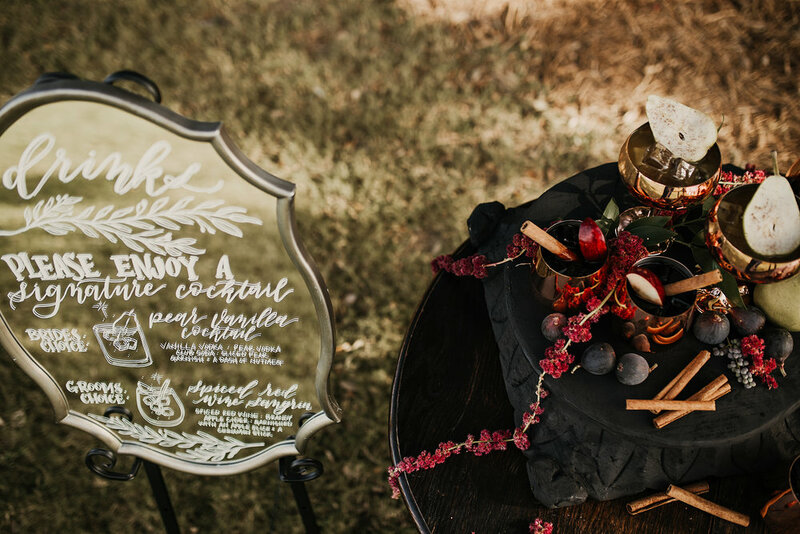 Bringing a unique ambiance to a shoot is an easy thing when you have the right creative mix of talent. 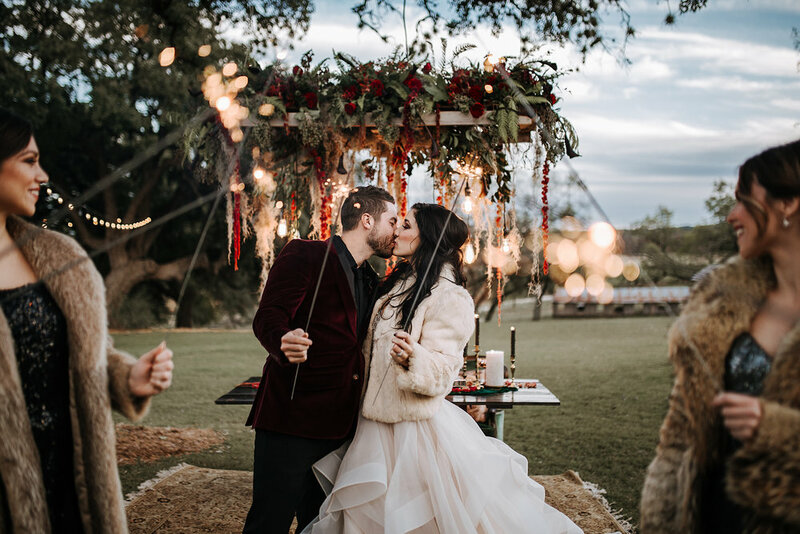 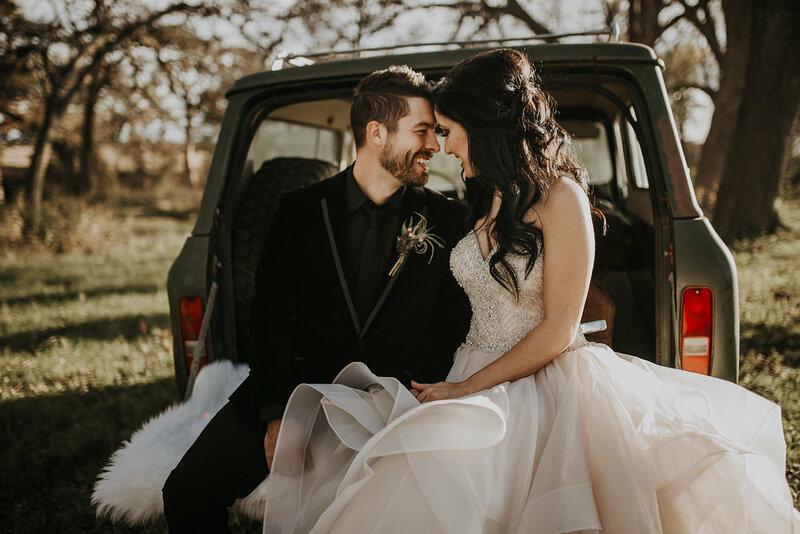 This wildly romantic Woodland Industrial Inspired shoot brings an essence of the wooded outdoors to the Texas Hill country and truly convinces anyone that they are at a far off destination. 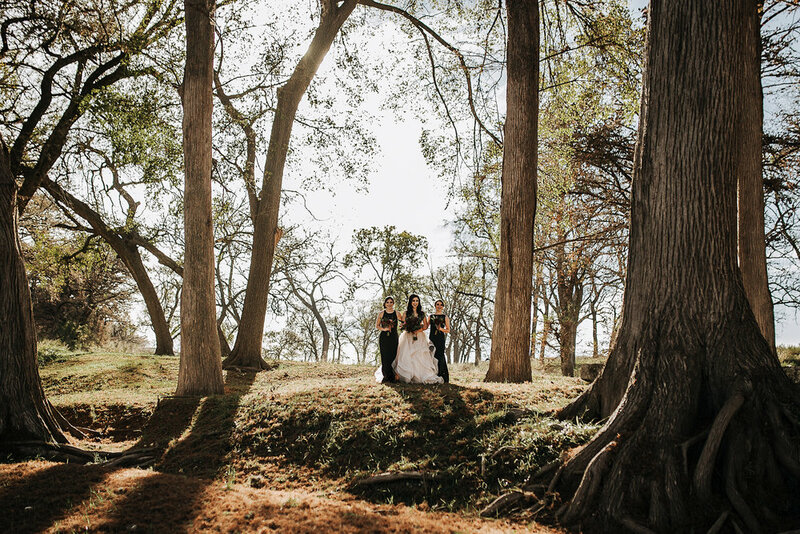 Cherokee Rose was a match made in heaven for this Texas destination wedding - with its rustic yet refined 1800's historic settlement nestled up to the Guadalupe River amidst the towering cypress trees. 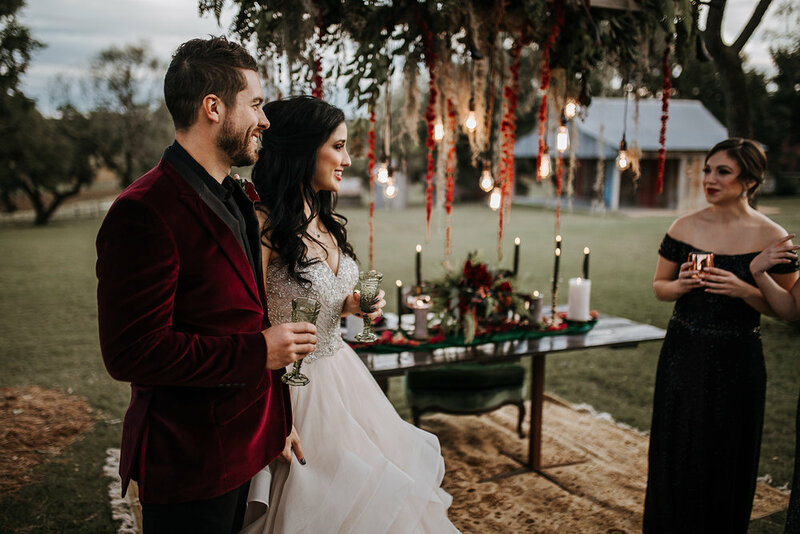 Our models tied the knot at this venue earlier in the year and with their chemistry - we were able to capture such an epic romance! 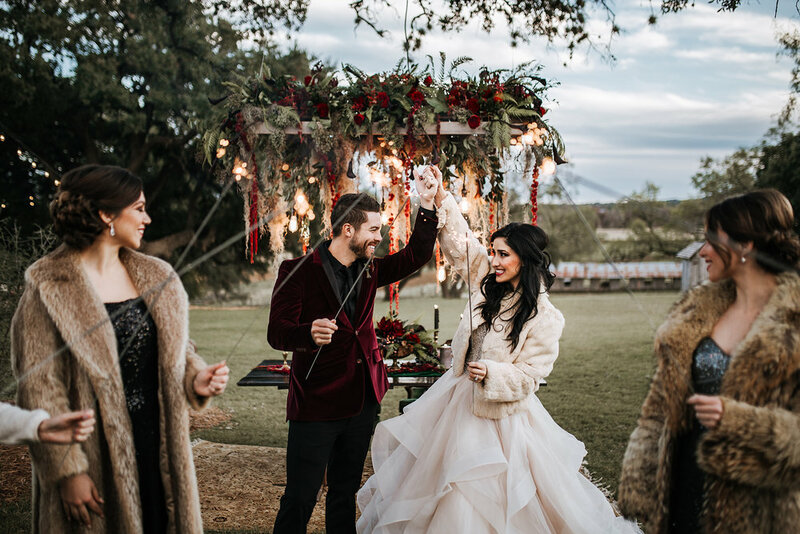 From the luxurious embellishments and lush floral to the industrial Edison bulb accents - our team reached our goal of creating a moody, decadent feel. 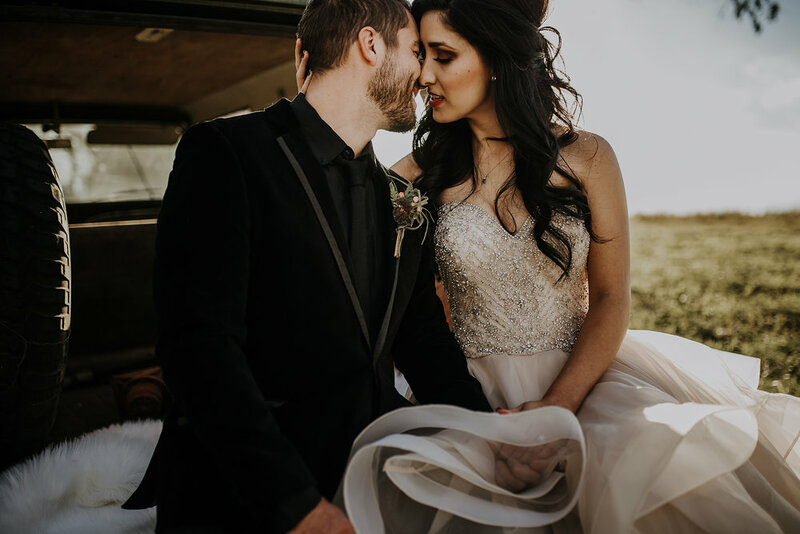 The rich textures of fur, metal, wood and velvet played well on each other and were captured in this beautiful photography by Edgar Vega Photographer.